Last month, Eventbrite brought UK audiences Generation DIY – a celebration of the new young creatives and promoters pushing our nightlife forwards. Marking the occasion with a series of screenings, and a panel discussion on why the young people they feature are making a splash in the UK events industry, gal-dem were keen to catch up with the under-25s featured to learn more about how they’re changing the game. 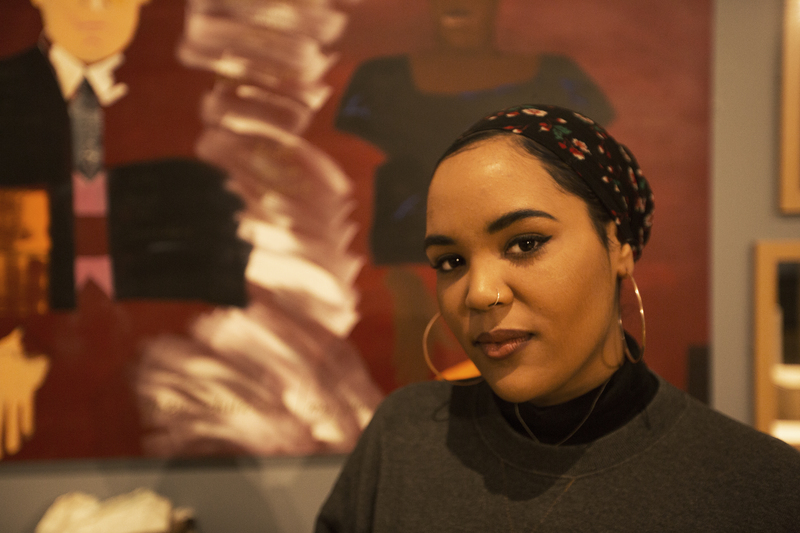 We spoke to three women of colour involved with the event about their projects, and what’s in store next for them. 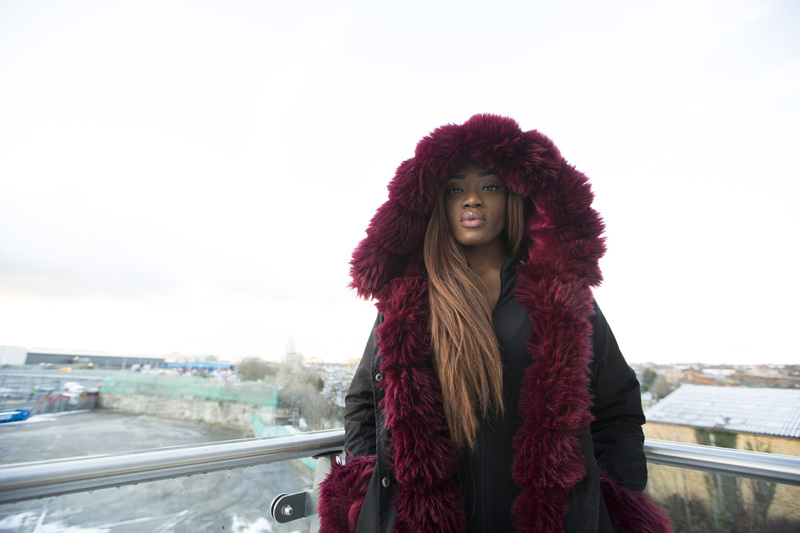 “I currently manage three solo artists including Afronaut Zu, Lylo Gold and Levelle London, but have worked with a great deal of other notable artists throughout my career. In addition to artist management, I project manage and consult independent artists through their careers and also run the women’s creative collective The Sorority House & Co., which hosts our annual festival Goddess Fest boasting an all-women line up! The Sorority House & Co. is a collective force of women in the creative industries, which aims to connect, celebrate and inform women and construct a shared sisterhood mentality through our extensive workshops, panels, programmes and events. Currently, we are working on our latest event series to help busy women turn their hustle into a full-time brand. I think the level of financial support for projects involving women and PoC urgently needs to be addressed. Currently Goddess Fest and The Sorority House & Co are unfunded projects. We have reached out to a great deal of companies with regards to sponsorship and the response hasn’t been very welcoming. More funding opportunities with a more versatile criteria would help, but this really needs to change as a whole as it seems that once a box is checked the rest of these projects are pushed to the bottom of the pile. As a manager, you very rarely receive acknowledgement or praise for your work. In December, London’s Young Music Boss Awards honoured my work by awarding me Manager of the Year. This was not only an absolute honour (and I thank them so much for considering me), but also the company is run by a fellow black woman. This makes me so proud as a woman to be a part of something like this, and shows us all that there are others out there seeing what we are doing. “My events and projects all focus on enabling black and brown artists to flourish and get their coins. I’ve run small festivals, and poetry and music nights, including Heaux Noire, a night set up by my friend Anita Barton Williams. That night seeks to platform black and brown womxn’s experiences and let us define our work by our own standards, instead of tired stereotypes. I also ran Herstory LIVE, a series of events in Birmingham that platformed black artists, paid them well, featured live art installations, and shared erased histories. All the events I’ve run and am currently developing are all inspired by both radical love and extreme tiredness. I think at the core of it, a sense of justice and a love for history have driven me to develop all my projects that re-humanise those affected by institutional racism. Currently I’m developing a black curators’ group to give space for black British people in the arts world to play with their curatorial visions and curate in a decolonial way. This project was inspired by previously co-curating an exhibition at Birmingham Museum and Art Gallery called ‘The Past is Now’, and discovering how voyeuristic museum and curatorial practice is, and how it often dejects and exoticises the black body. The project will give black curators space to experiment with their practice and learn from each other without pressure, expectation or micro-aggression. I also have a couple other projects on the go but they’re hush hush for now. The gatekeepers need to be destroyed or co-operate. I would like to see more coins released and privilege relinquished by those gatekeepers. At the same time it’s really important that womxn and non-binary people continue to build and reimagine the visions we have for the world to prove they are possible. We know they are, and those within the arts will always try to diminish those visions so we must show them the possibilities. I’ve been told countless times, by white people, that I’m too ambitious or to reign in my imagination for what’s possible. I think that’s not only mentally damaging, but also tactical as it ensures we follow the status quo. I don’t want to shrink into myself because it makes people more comfortable, I’m just trying to live my best live and secure the bag so we can distribute it fairly. What needs to change is institutional and systemic racism, but that’s not going to disappear overnight; so let’s keep it moving, keep calling it out and show what’s possible from the fringes. To paraphrase what Angela Davis said when she was at WOW festival: I have no desire to be part of a system or assimilate into something that doesn’t care or want me. The change will be led by black and brown womxn, so let’s get it and keep supporting each other towards liberation and ultimately being happy in such a violently racist country. “Namiwa Change Formation is an ever-evolving and diverse network of radical, subversive and free-thinking individuals. NCF works mainly with women and girls from BME groups offering a person and community-centred approach to making new work. We are a springboard for alternative representations of the self, and a catalyst for creativity. We are currently receiving support through the Natwest Business Accelerator program to develop our winter 2018/19 projects, and will be making some exciting announcements later this summer! All our projects work with our community holistically, educating and informing on the importance and value of health, the environment, and the arts. As a company we are inspired by the abundance of BME artistic excellence emerging from the underground and DIY scene in Birmingham. Birmingham has a lack of spaces, events and initiatives produced for and by BME women. As a city, we also lack enthusiasm for supporting and seeing this change amongst current arts organisations and leading venues across the city. Namiwa Change Formation is proud to take up space and combat these issues through our work. 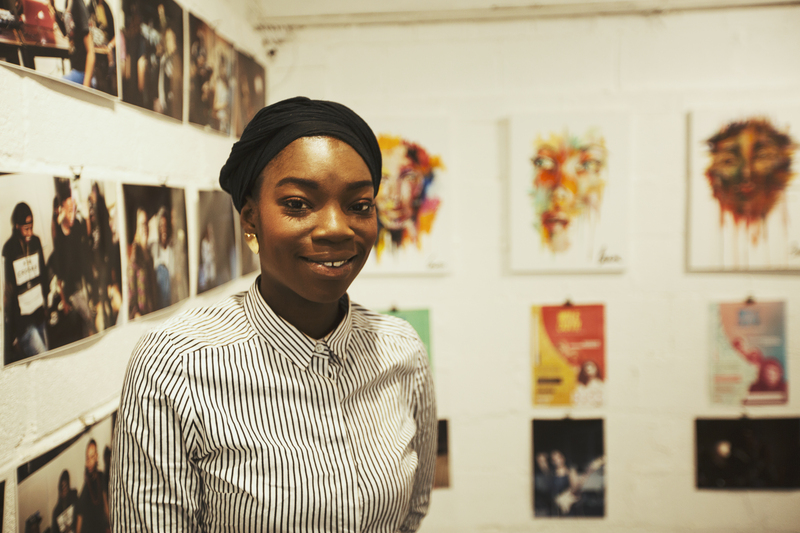 The company was founded in 2017 by artist and composer Namiwa Jazz, as a vessel to galvanise the current arts scene in Birmingham and to empower BME women and non-binary creatives throughout the city. At #NCFbrum, promoting equality and tackling inequalities within the arts is at the heart of all our current & future projects & events. We believe that this is fundamental to building a strong artistic community and a fair society that champions and rejoices artistic excellence created with, by and for women and non-binary PoC. #NCFbrum is made up of Birmingham most colourful people, it’s within our mission to become a cultural and artistic centrepoint for women and non-binary PoC creatives and non creatives nationally, with a particular focus on profiling new artistic and culturally relevant works in the Midlands. In 2017/18 we ran Wile Out Open Mic Night — Birmingham’s only combined arts open mic night space celebrating women of colour. Wile Out showcased of over 50 emerging and professional artists’ work, including four independent film screenings from Birmingham-based BME filmmakers. Wile Out championed local independent brands and businesses lead by BME women online and at events.